So, what is this “Be Festive, Be Creative with Canon PIXMA Workshop” about? In this workshop we get to learn how to create your own customised greeting cards, origami crafts and more with Canon PIXMA photo printer. There will be 30 parent-child pairs, where participants will learn how to make festive-related 3D photo frames, party hats, and a generic but very useful wall clock. Omy.sg & Canon have reserved 10 slots for bloggers to join in the fun with the parents and kids! Thanks omy.sg & Canon for the invitation! Popular parenting blogger, Ai Sakura and bubbly host/actress/blogger, Joanne-Marie Sim will be sharing some creative craft tips and they will be doing live demonstrations. Workshop started off with Giant Scissor, Paper, Stone game with the kids! Joanne was demonstrating the game! First craft! 3D Photo Frame! All the participants able to print our desired photo from the Canon printers provided at the workshop. You can either connect the printer to your PC and print from the PC or you can just plug in your thumb drive onto the USB port on the printer and print instantly! That’s what I did at the workshop! Choose the photo you want from the screen on the printer and press print! And Tadahh~ My Photo was printed! Love the resolution and the color of the printed photo! 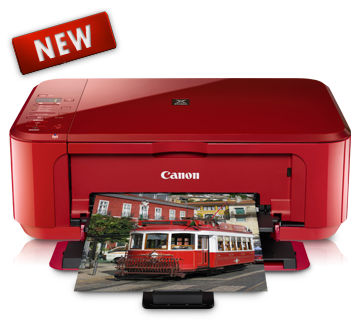 With Canon PIXMA Printer at home, you can print your photos whenever you want. Don’t have to make a trip down to the photo printing shop to print your photos! 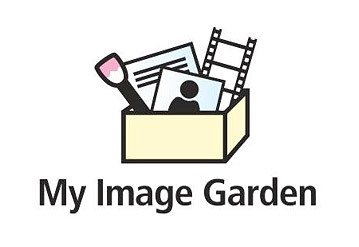 At the workshop, Canon also showcased 4 of their latest Canon PIXMA All-In-One Photo Printer and their new image software “My Image Garden”. Done with my 3D photo frame! How is it? After all of us done with our 1st craft 3D Photo Frame, this is the time we are waiting for! Tea-Break provided by Chef Daniel’s Kitchen! Next up, we going to personalize our very own wall clock! After all the cutting, pasting and installing, my wall clock is DONE! Little girl showing Joanne her art work! Festive season how can we forgot about Festive Hat! It’s a must-have for all festive parties! Group photo of all the parent-child participants! One more shot, showing off our crafts! With Ai Sakura, pretty mummy! She did a great job hosting the workshop with Joanne! Once again, Thanks omy.sg & Canon for organizing this fun & enjoyable workshop! thanks for coming down dear! let's meet up over lunch soon k!